The Many Faces of Charcoal is an online charcoal portrait course which starts March 4 and runs for six weeks. Each week we’ll start with an exercise to get familiar with the supplies and loosen up a little. Then we’ll do a full, in-dept project in which we’re going to create a charcoal portrait from start to finish. Every project will be different, using different techniques or styles. I will show and tell you exactly what I do and why I do it, so you can learn & practice the techniques and implement them in the future in your own style. You get lifetime access to the course website and all videos can be downloaded, so you can keep them forever. Want to know more? 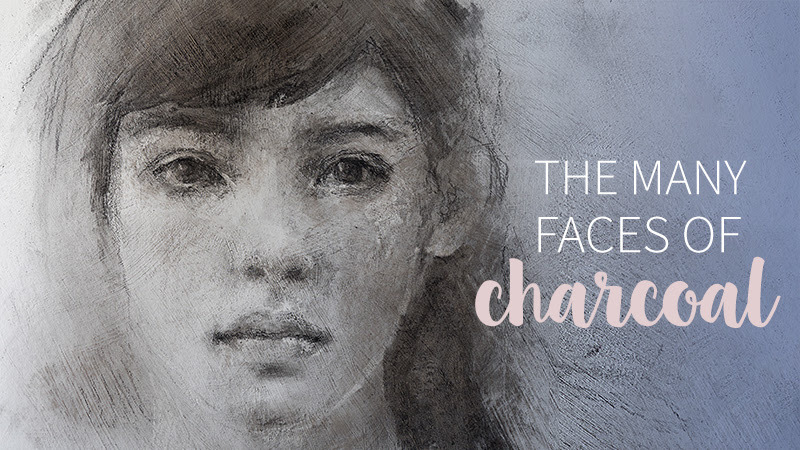 Click here to learn more about The Many Faces of Charcoal. If you register before February 11, you will get an early bird discount on the price!